Don’t let drab plastic planter pots drag down the colors of your backyard blooms. These quick and simple cedar planters offer an alternative. They replace those ugly nursery-grade containers that plants come in, and can be made to straddle whatever thickness of deck or fence you have at home. 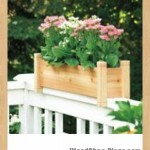 If you don’t have a railing that could use some floral pick-me-ups, the planters can easily stand on their own. I made both a long and a short version to suit anyone’s needs. 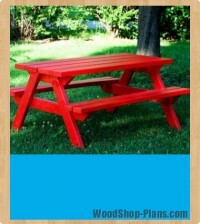 Most building centers are well stocked with cedar deck and fence boards. 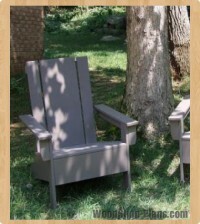 These supplies are perfect for this outdoor project. 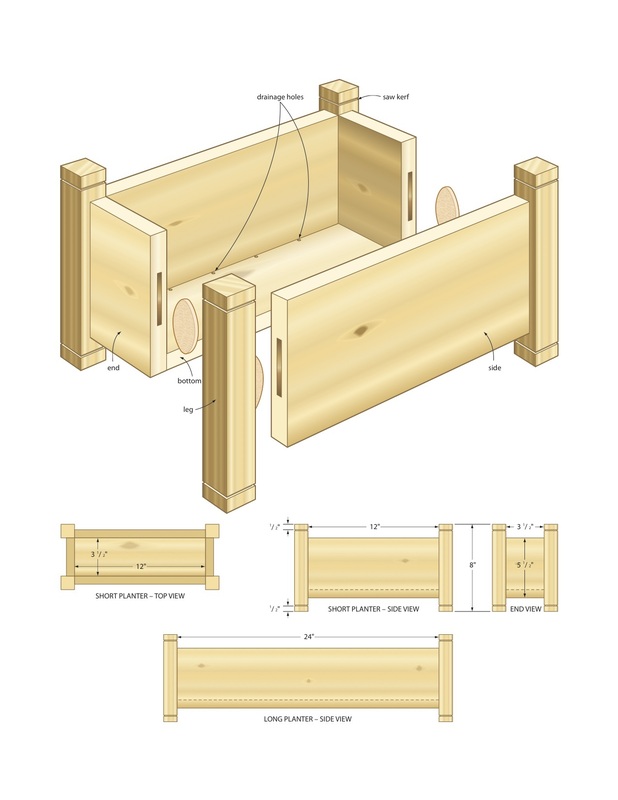 Two 6′-long 5/4 cedar deck boards provide enough material for one planter box. And two 2×2 cedar balusters will create the legs. Later, as you cut your boards to size, you should be able to position your cuts to avoid the largest of the knots, leaving you with a project of predominantly clear cedar. 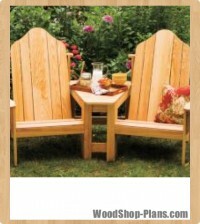 Plane your wood down to a 3/4″ thickness for the side, end and base parts. If you use ready-made 2×2 balusters, give them a good sanding with 80- to 100-grit paper to eliminate mill glaze and remove any splinters. Cross cut the balusters into 8″-long pieces for the legs, then cut a decorative kerf 1/16″ deep around the top and bottom of each one. I find a cross-cut sled on my tablesaw is a safe way to do this work. Clamp a stop block to the sled, set it 3/4″ away from the blade, then make the repeated cuts. Mark the bottom ends of each leg, then chamfer the top ends with a block plane or sander. The ends and base pieces come next. 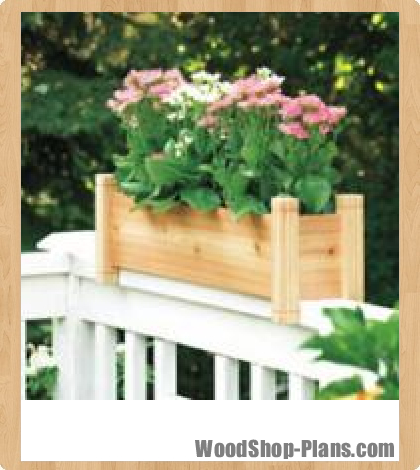 If you’re making your planter to straddle a 2×4 railing, rip the ends and base to 3 1/2″ wide. Whenever possible, I like to cut biscuits with the base of the joiner sitting flat on my bench with the joiner sides aligned with the edges or ends of the piece being cut. In most cases, this set-up eliminates the need for alignment marks. 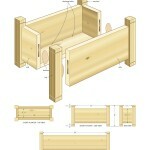 As well, resting the joiner on the bench is much more stable than relying on the tool’s fence. You must still mark the inside and outside faces of each board, as well as the tops and bottoms, so that things don’t get mixed up. One thing you’ll notice is that the slots cut in the two adjacent sides of each leg interfere with each other. If this project were something large, such as a bookcase, that might concern me. But in something light and small such as these planters, reduced biscuit size doesn’t reduce joint strength enough to matter. I used a sander to remove enough of each biscuit so that each one fits. Using a 1/8″- to 3/16″-diameter bit, drill drainage holes into the base of your planter. If you drill at an angle, up from the bottom of the side boards, these drainage holes won’t interfere with your deck railing. To prevent the holes from clogging, put a layer of gravel in the bottom of each planter before filling with soil. 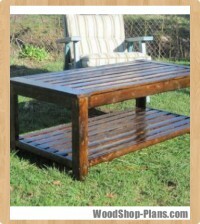 I applied two coats of Circa 1850 Tung ‘N’ Teak oil finish to protect my planters and keep the wood looking fresh. The finish wipes on easily and is rated for outdoor use.